BANGLADESH. Kurigram District. 2010. Villagers watching the Emirates Friendship Hospital, a floating healthcare facility, depart their silt island for another isolated community. 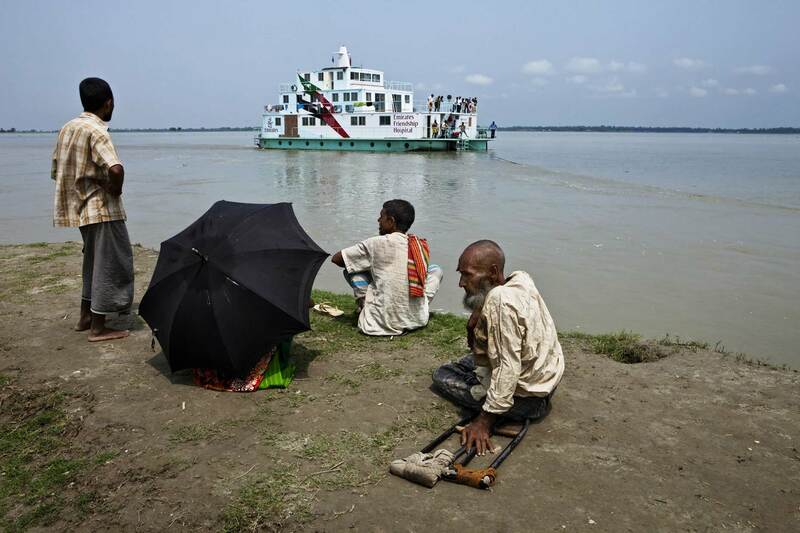 The ship-based hospital is an example of how one can provide healthcare even in the most floodprone areas.